Hire a national chain or a company that specializes in duct cleaning? SHOULD I HIRE A LARGE NATIONAL CHAIN OR A COMPANY WHO SPECIFICALLY DOES DUCT CLEANING? 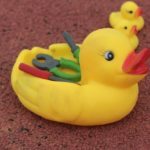 Home/Consumer Info, Frequently Asked Questions, Residential Duct Cleaning Articles, Uncategorized/SHOULD I HIRE A LARGE NATIONAL CHAIN OR A COMPANY WHO SPECIFICALLY DOES DUCT CLEANING? There are a few large, national chains or franchises that offer duct cleaning as an add on service. They also offer services like mold removal, carpet and furniture cleaning and replacing or repairing your furnace and air conditioning units. They might even boast that they are certified in duct cleaning. Their specialty is generally not duct cleaning. This is the difference between Advanced Furnace & Air Duct Cleaning and the chains. 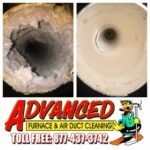 Some of the chains have been in business for many years as but Advanced Furnace & Air Duct Cleaning has been cleaning air ducts and only air ducts, for over 52 years. We recently hired a certified technician from one of the large national chains. He came to us with years of experience and a valid certification. He was unfamiliar with our cleaning equipment and techniques. His experience in the industry brought him up to speed quickly, however, he advised that our equipment and thoroughness is far more superior. He is now a valued member of our staff and looks forward to a long career with us and lots of continuing education here at Advanced Furnace & Air Duct Cleaning! Give Advanced Furnace & Air Duct Cleaning today for a free price quote today. You will not be disappointed!